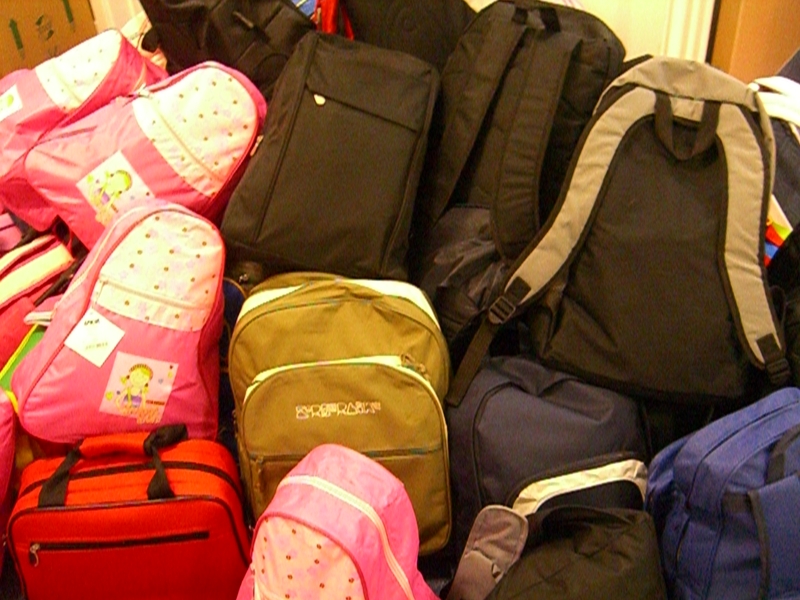 Above are some of the backpacks the children sent off to Mary’s Meals, who will take them to Malawi. In total 73 full back packs were collected which was tremendous. 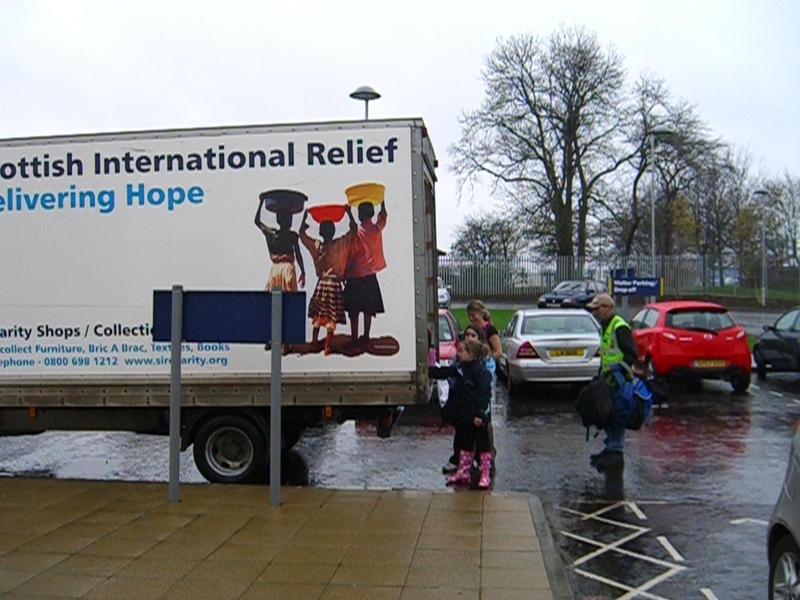 This is all part of the build up work that has been going on for the cluster rich task related to Malawi. 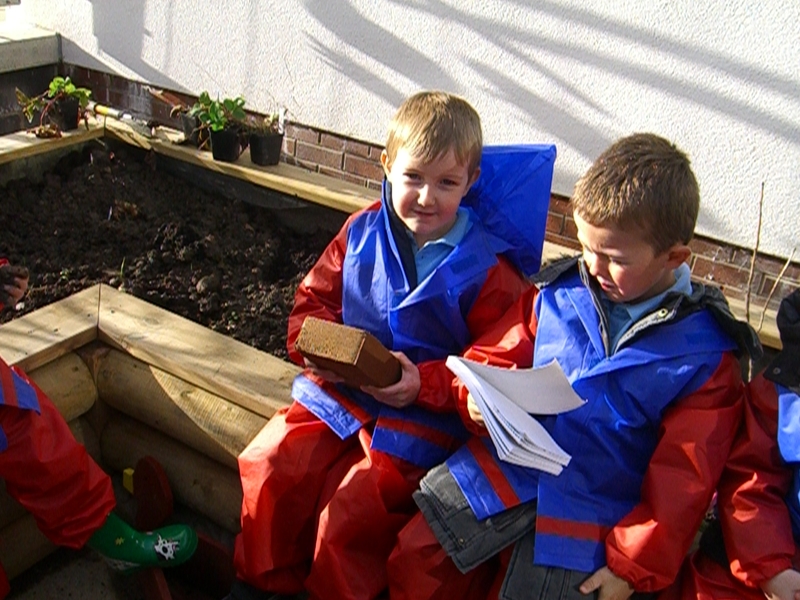 Our nursery and P1 children have been working together in our new little enclosed garden area and here are some of our pictures of what they’ve been up to.They are in their new outdoor gear and you can see the wormery which was being built. 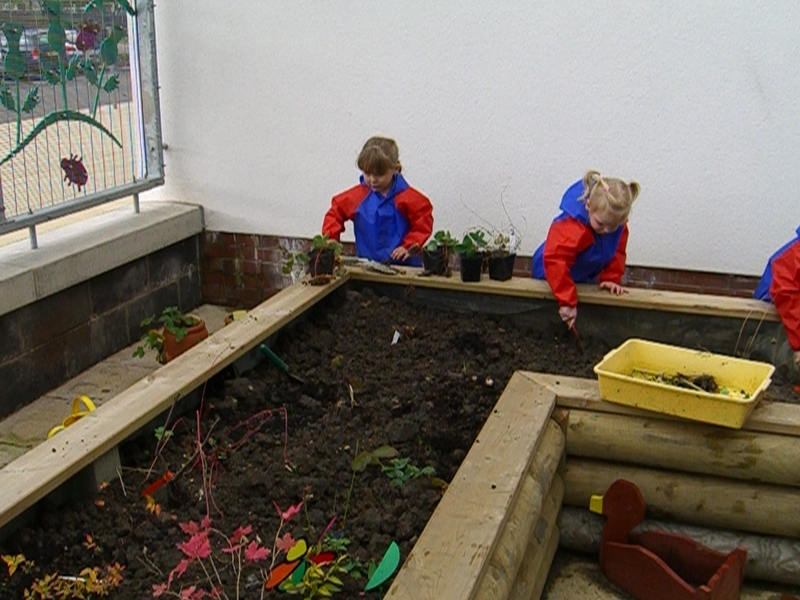 They were doing lots of numeracy related sorting etc when doing the gardening. 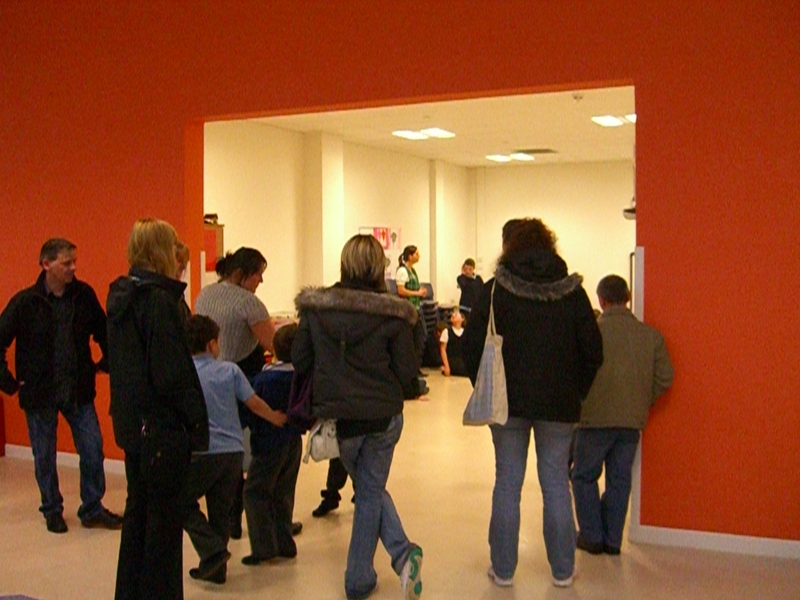 Today was our St Andrew’s Day event – in the afternoon we opened the doors for family time. This is very worthwhile but a bit scary for all the staff as we have to let go control slightly and leave the parents and children to move around and talk to each other! We held our Learning Community’s Malawi rich task meeting tonight. The outline of the Malawi rich task has been completed. 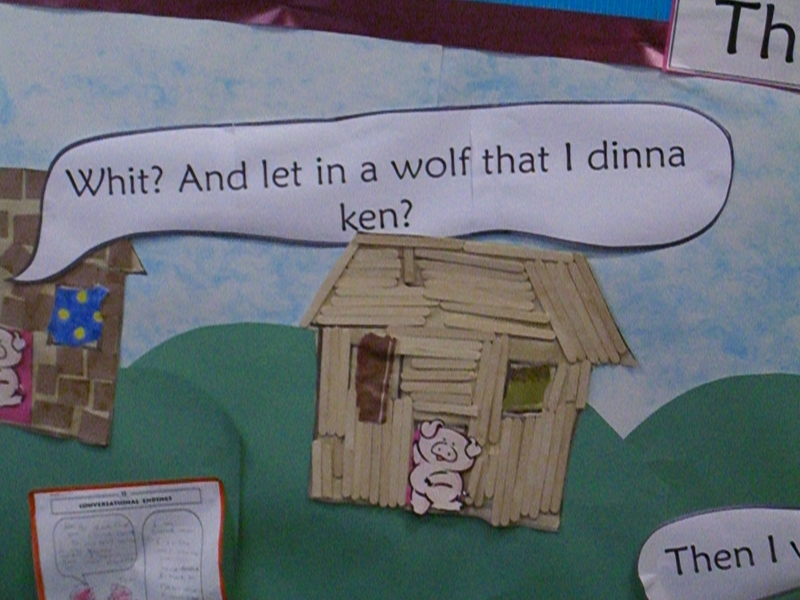 The teachers used the handy blank publisher template from Argyll and Bute to write this up. Tonight, we all looked at how to set up a wordpress blog so fingers crossed we’ll soon have some blogging networks going on amongst our pupils in the eight different primaries. At the next meeting we will all agree how we are going to do the first mindmap/brainstorm piece of work in January with all the classes and agree the pre assessment format for the children. So far we’ve got a lot done (that’s the royal we..). What I should say is that this group of teachers have got a lot done! Everyone has gone off tonight with some shared good ideas – thinking about sharing the criteria for the task, using various ways of doing this, peer and self assessment ideas etc. We’re looking forward to seeing materials Mossneuk are bringing back the next time related to sharing writing learning intentions. If anyone is working on this too then just get in touch – the more sharing the better, is my motto! Sharing and learning from each other is the best way to learn! We’ve got on much faster because of what Argyll and Bute have shared on their website. It’s certainly made our task much easier to plan. Prior to this meeting I had been at the lead officer network in the afternoon where we were sharing with each other what we are all doing and discussing action research. I met a visitor from New Zealand’s Education ministry who is over doing some research here for a couple of months. It turned out she is the New Zealand visitor coming to see us in a week with our HMIe district inspector to complete our HMIe process. This is to do the moderation of the Local Authority report on our action plan. We are also having 5 visitors from Norway’s education service a few days after that. We are inundated with visitors since we moved to our brand new building and you’d think by now that we would be accustomed to working in our new environment. But I have to say that I pinch myself everyday as I still can’t beleive we work in such a beautiful building! So I’d show it off to people every day given the chance as we’re all so proud of it! 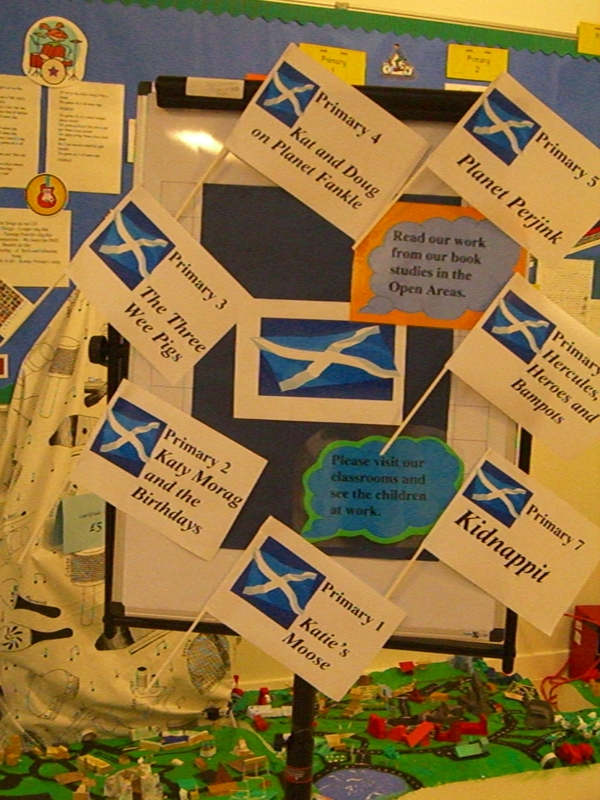 Tomorrow we are celebrating St Andrew’s day with various activities in class. 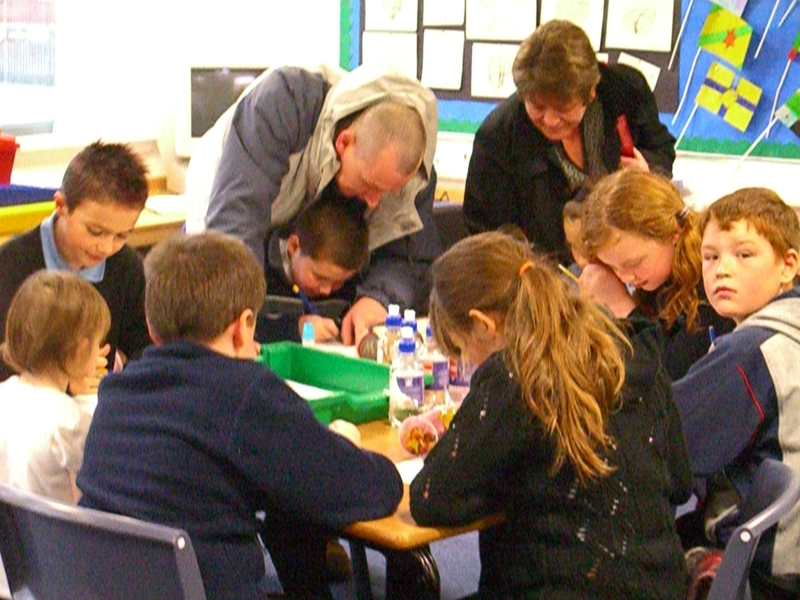 In the afternoon parents and carers are invited to “family time” where they can wander and discuss with the children the work they have been doing on Scots Language. The books we have used for these book studies are , Katy’s Coo, Katy Morag and the Birthday, Scots FairyTales, Planet Perjink, Planet Fankle, Hercules Bampots and Heroes and Kidnappit. Some of our after school Scots singing group performed with other schools at Cathkin High last week and they will be singing to our visitors. And somewhere as if by magic, Christmas has suddenly come upon us. We’ve been getting all glittery and sparkly, singing the nativity songs, sticking things together, making crafts for our fair – the usual things that make Christmas so Christmasy in our school. I admit though that the nativity scenery making was weighing heavily on me until I went to the local craft shop and discovered these fab 50 foot long polythene sheets with stars and nativity back drops on them! Fantastic and then as the best plan in a while we recycled last week’s Anderson shelter into a stable! 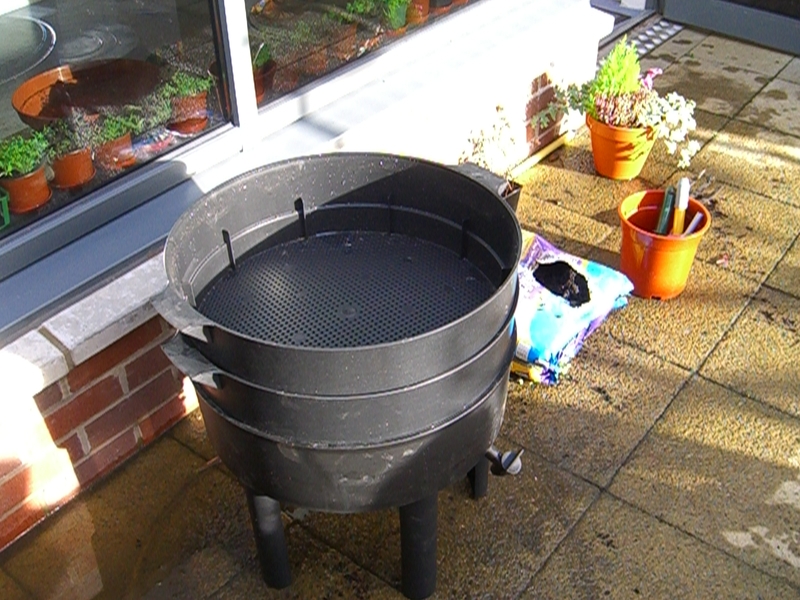 A roll of brown corrugated card and recycled oil drums can go a long way in our school! So go on get voting for the edublog awards. We’ve had a rocky time this session with some traumatic and serious illnesses amongst some of our staff. What could have been a very difficult time for the school has been remarkably smooth. The quality of staff we have at the moment who have just finished their probation has been excellent. They have come on board in difficult circumstances, mucked in, asked for help if needed, worked as a team with our existing staff and come back out fighting after any knock backs. A teacher asked me today if she was doing ok settling in (she knows who she is and she’s a star!) and I was really angry with myself that I hadn’t ensured she knew how well I thought she was doing. I’ve been really busy as has our DHT coping with changes and doing a spot of crisis management at times. But we should never be too busy to praise and be present to our staff. If people don’t know what they need to do and are expected to do and how well they are doing it then motivation and well being can slip. So this week I’m on a mission to make time to let staff know how I feel about their good work. 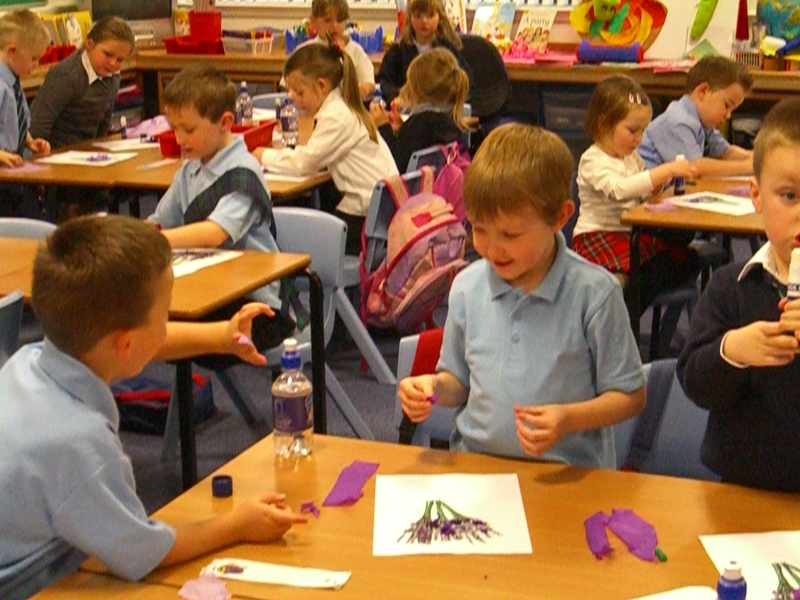 Last session we introduced “Tea with the teacher” in p1. 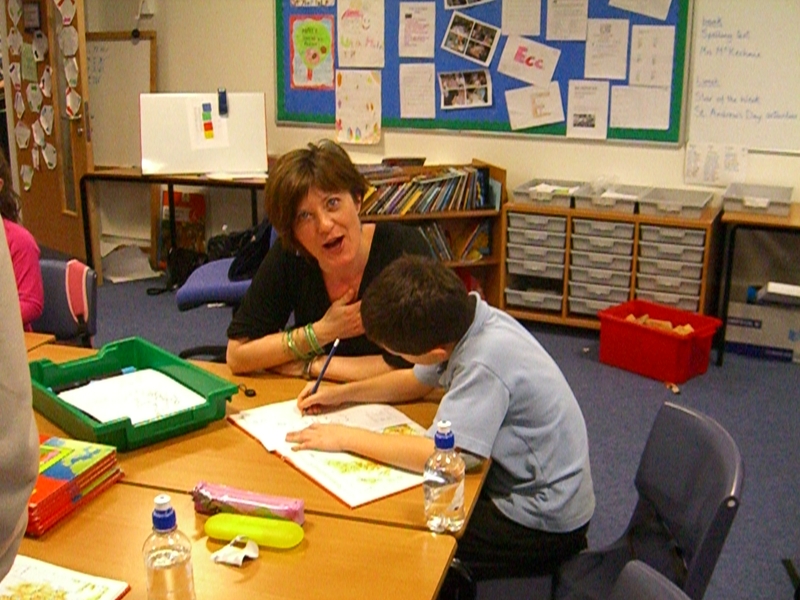 This is a weekly drop in and chat session every Friday with the P1 teacher. 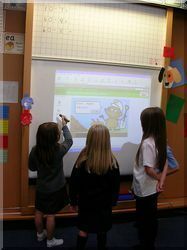 This session P2 have taken this on to weekly maths family time when a group of parents come to watch maths in P2 weekly. Next week we have our second P3-7 family time of the session. Parents/carers will come in during the afternoon on Friday to visit classes, watch teaching and see what the children have done for their Scots Book Studies. 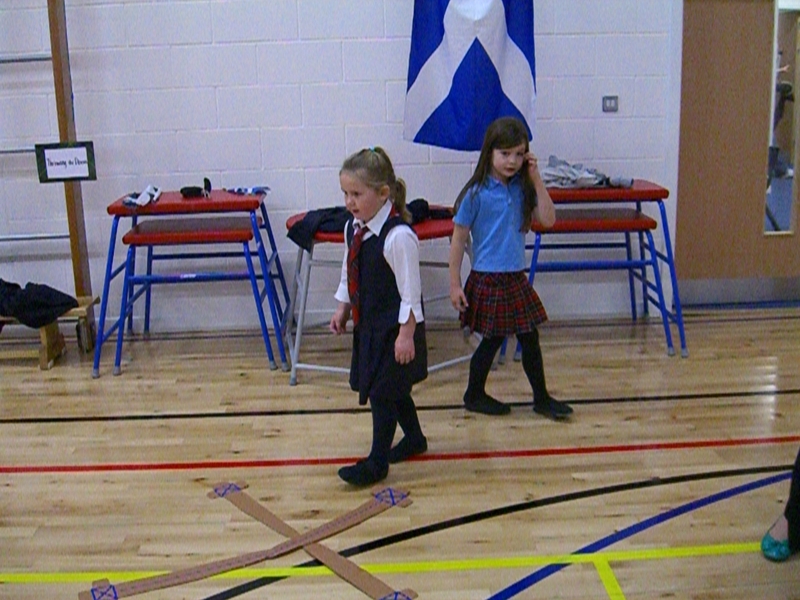 It’s also St Andrew’s day so we’ll be doing related activities when we have our visitors. This is breaking down barriers between home and school. 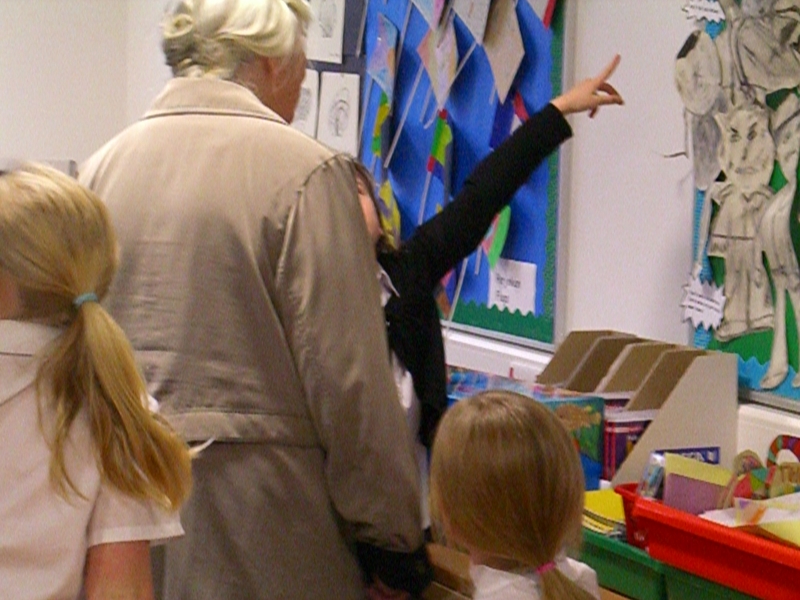 A real community of learning has to be open and welcome visitors/carers in to see what’s happening. It’s always interesting to see how work like this pans out overtime. I’ll be keeping an eye on how this develops and impacts on relationships. 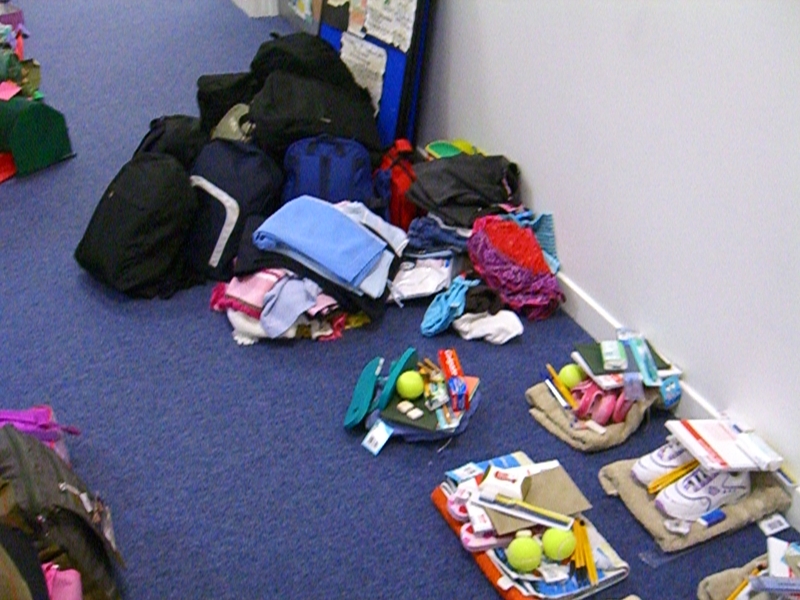 The children are collecting backpacks and the contents for Malawi at the moment. The contents of these are always very touching, children often give up very treasured possessions for others less fortunate. Last time we had favourite teddies and books sent in because they were so special to the child. We have a gran who collected over 60 shoeboxes of donations last time. This is real citizenship in action. A favourite thought of mine at the moment is service and duty and how this is about a state of mind where we aim to be selfless and to give/serve unconditionally. Sometimes in schools we can learn so much about this from little things our children and others around us do. Primary 7 did really well with their exhibition – 2 corridors full of writing, laptops with slide shows on different aspects of WWII, information about rationing, leaders, evacuation etc etc. Then in their classroom they set up various WWII related activities on the dancemat, quizdom etc, fun games, homebaking, recipe books for sale, dressing up, a pretend Anderson shelter with sound and light effects were all available for visitors to buy and try. 4 of the P7 classes from nearby primaries visited and lots of parents/carers and other visitors supported all their hard work. It was a great way to round off their topic. Plus the money they raised will take down the total they have to pay for their outward bound week to Castle Toward. Our newly appointed Depute Director is timetabling visits to all schools in the authority at the moment, which I’m really pleased about. Don Ledingham has written about his visits to schools in his authority and I have found what he has written very interesting, in particular his advice to Heads to be in classes about 2 days a week. I’m convinced this close contact with learning and teaching is the most effective way to make improvements. I learn more every time I spend time observing/monitoring in any classroom, at every stage. However this requires high levels of trust between all within a school. It’s this trust which leads to genuine accountability and growth. There’s a case study about our school here. Other than wondering who on earth that woman might be – as she doesn’t look like I do in the mirror – it’s nice to have the work the teachers are doing recognised in some form. ps I’m going to have to start that diet tomorrow!! The P7 teachers from our Learning Community had a day together last week to get to grips with planning the rich task they will be doing within class next term. They will be using Malawi as their background context. After a lot of thought they all agreed that writing is something they would like more time to work in depth with the children. So they have written a rich task which will allow the children to develop their writing skills. Their idea is that the children will produce written work over the period of the rich task – a booklet which incorporates a variety of writing related to myths/legends/writing in Malawi which the children have developed. They’ve produced this on the template available from Argyll and Bute. Work has still to be done on this, they will meet again in December to look at how they will work with the children on more detailed planning and also how to set up their class blogs for the project. Then they will have weekly network support meetings during the duration of the task. It sounds very exciting. Our P7 teacher has been working with her class on a WWII exhibition next week. 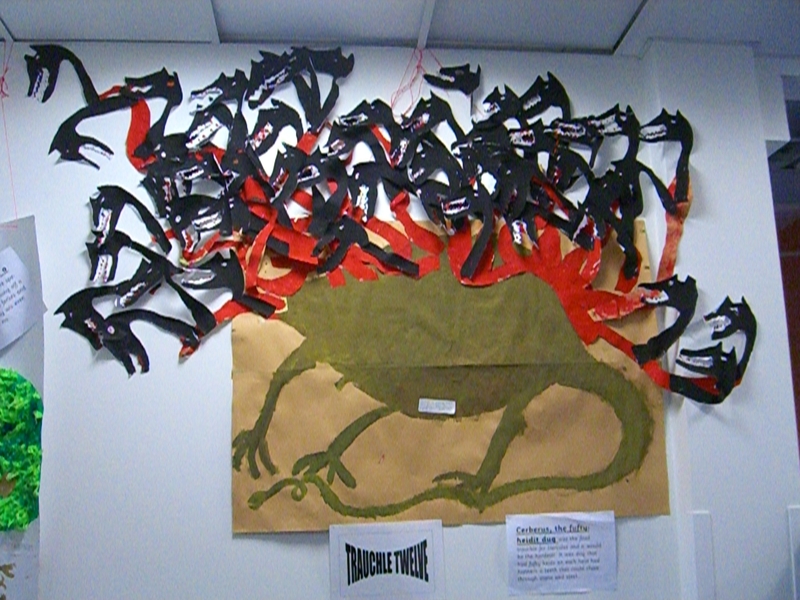 They have taken over various bits of the school to display their topic work – writing, posters, art/technology etc and have invited in parents etc to see what they have been working on. They have made up great powerpoints on different aspects of the war and tell me they are going to make an air raid shelter somewhere in the cloakroom… The teacher is on her knees but she’s done some fantastic work on this! We’ve been working on our attainment targets, and working out where we need to give additional support to our children. Last session we began trying out some prediction software and this has really allowed us to get to grips with individual attainment targets. Staff meet with me to discuss this etc. I’m hoping that what we are doing will help us challenge our children more. Where we have previously really concentrated on our headline figures eg A at P3, B at P4 etc and have been doing well there, we are now moving to challenging attainment results at higher levels to really challenge capable children who are not quite hanging on to the most able group. These are the children we need to push and give more support to now. This is encouraging and shows added value teaching. We have been lucky enough to get a Scotland Reads Volunteer and hope to use her to help us with this support for children. http://del.icio.us/andrea_reid – Still can’t get this link to show up on sidebar though! It’s kind of annoying…. 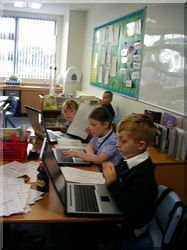 Despite my inability to use wordpress properly… RM are writing a case study about our ICT use at school. I’m so proud of the progress the staff have made in this area. So in the gym hall the wee ones are hearing from their teachers about their nativity play. I know, I know… It can’t be that time of year again…. One teacher was overheard asking them to guess who they might be pretending to be. She’s describing the shepherds outfits. Now at this point I’m wondering if the P1s find everything that happens in school a bit odd, as to a non school person, this might sound a bit loopy, but continue eavesdropping . However one little boy gamely tries to work out what’s going on.